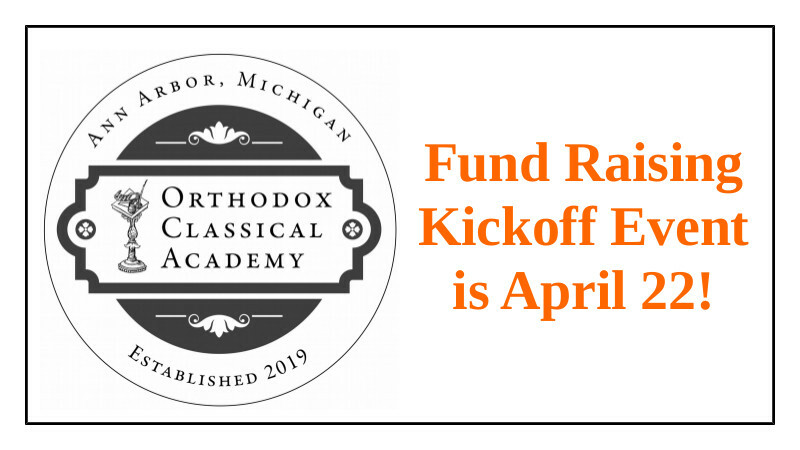 Please join us for the kickoff fund raiser for our parish day school, the Ann Arbor Orthodox Classical Academy! The fund raiser is set for April 22, 2018 at St. Nicholas Greek Orthodox Church. Classes begin in the Fall of 2019 - help us to make that a reality by supporting our efforts! 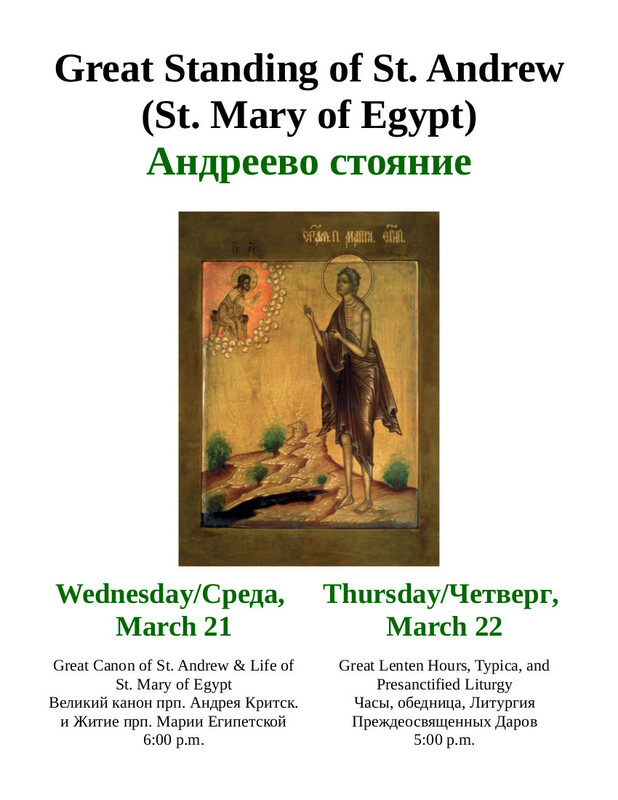 The myrrh-streaming icon of the Theotokos “Softener of Evil Hearts” will visit St. Vladimir’s on Thursday, March 22 into Friday, March 23. This was an unexpected and very welcome surprise. 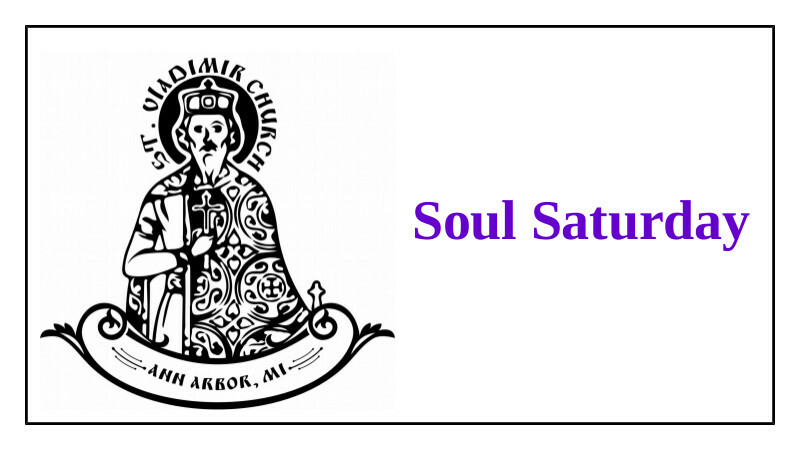 This was confirmed on Sunday, March 18 during the Divine Liturgy at St. Vladimir’s and we were able to announce it then. Here we are able to provide details. 2. After the Presanctified Liturgy on March 22 in the evening we will have a meal as usual, but we hope that the gentleman traveling with the icon, Sergey Fomin, will tell us more about the icon during the meal. You can learn more about the icon below. 3. 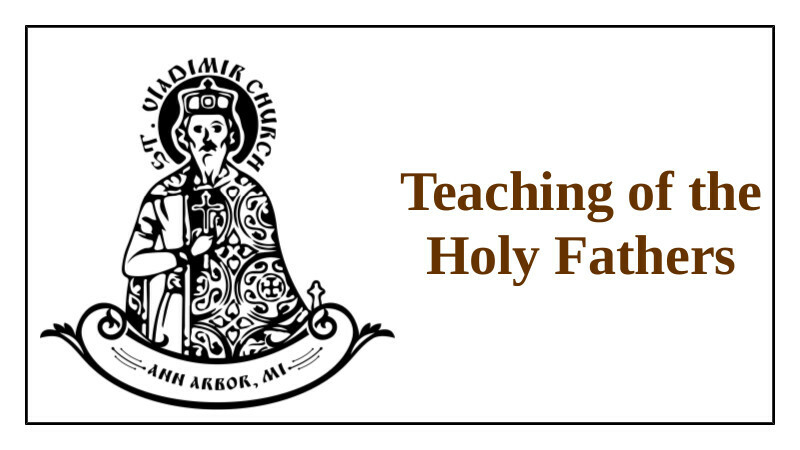 We need to transport the icon and Sergey to Milwaukee on Friday, March 23. The icon must arrive in Milwaukee not later than 5:00 p.m. Central Daylight Time. We have a volunteer to do this, but if you would be able to help it would be good to have a backup as well. Please contact Fr. Gregory if you are interested in helping. 40 Martyrs are Celebrated Tomorrow! 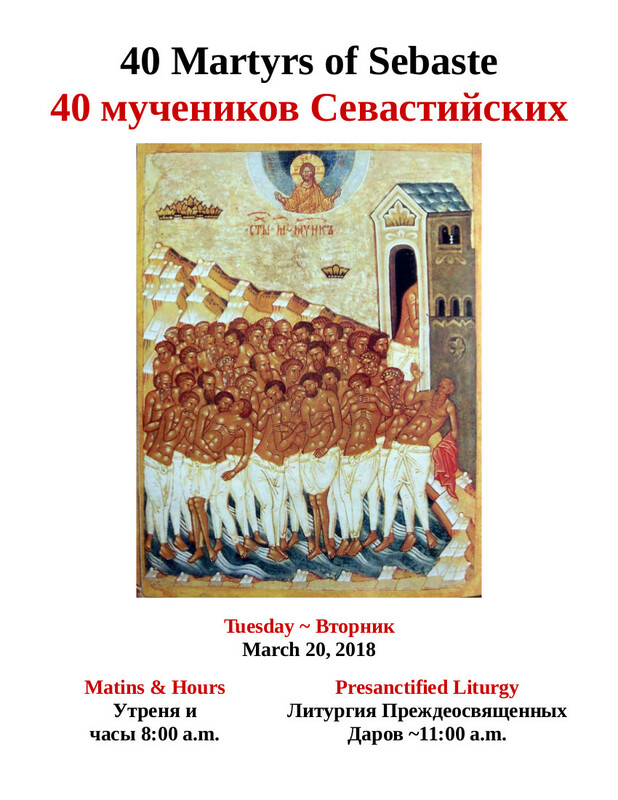 Please join us for the feast of the Holy Martyrs of Sebaste at St. Vladimir's on Tuesday, March 20. 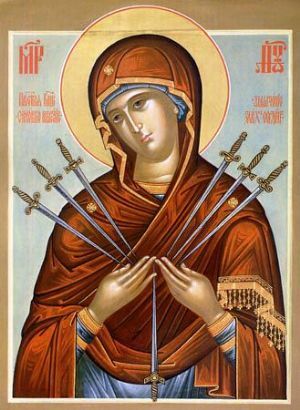 Yes - the martyrs are generally celebrated on March 22, but this year the Standing of St. Andrew falls on that day, so the feast is moved to March 20. More information is below - please join us! Congratulations to those celebrating their name's days! 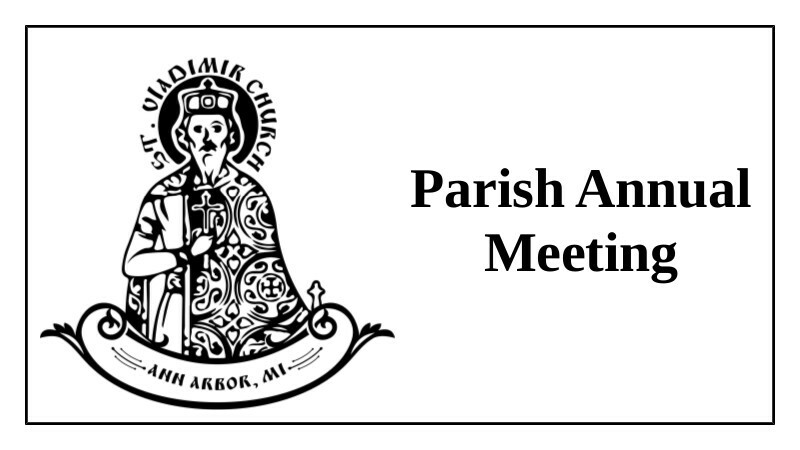 March 17: Divine Liturgy 8:00 a.m. (Matins for the departed the evening prior at 6:00 p.m.) - All English Cycle – NOTE NEW TIME!!! 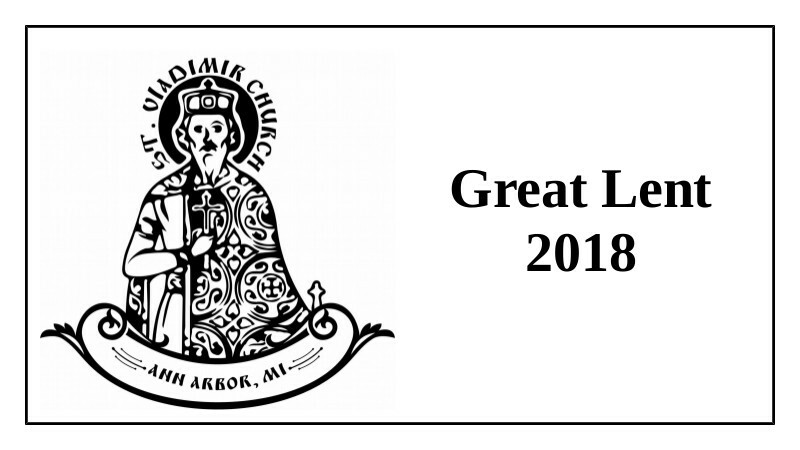 Please join us for those services that you are able to and for those you are not: please assure the commemoration of your friends and loved ones at the services by emailing their names (please distinguish between Orthodox and non-Orthodox departed) to info@stvladimiraami.org or by otherwise contacting Fr. Gregory. 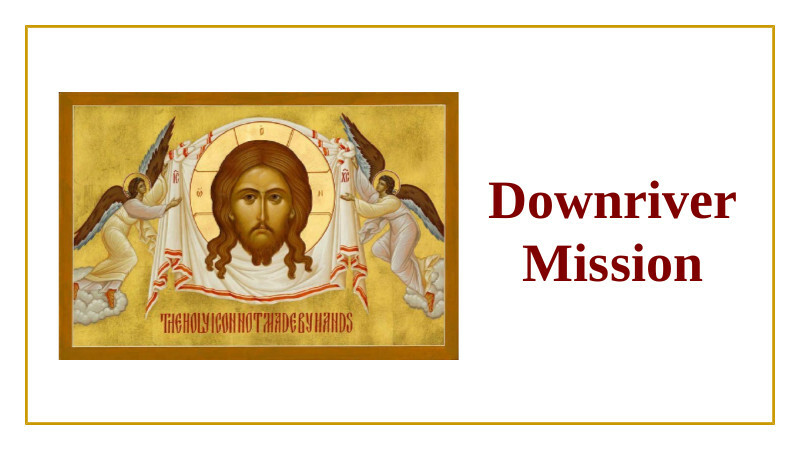 Great Lent Full Schedule – Lent is HALF OVER!